18. There is word Dallas prefers a new path in its coaching search — nobody with previous connections to the club. But I’m also hearing they’re open to all situations. Don’t think the Stars or Rangers are in any hurry. How about if the Leafs fire Babcock and we take him? I'll be okay with that. I strongly applaud/denounce this move. This post will be edited for accuracy in two years. How many years of failure are we allowing while he "implements his system?" 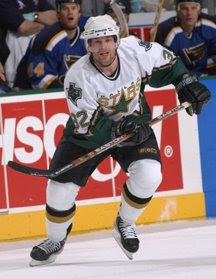 I have no memory of him in the uniform but Montgomery played 8 games for the Stars in the 2001-'02 season and one game in the 2002-'03 season. ScubaSteve wrote: How many years of failure are we allowing while he "implements his system?" Good coaches make it work the first season. Also, this is a smart hire by Nill. By hiring a guy no fan or even media person knows anything about, there are no built in opinions, which means a quiet summer for Nill free from criticism about his coaching hire. 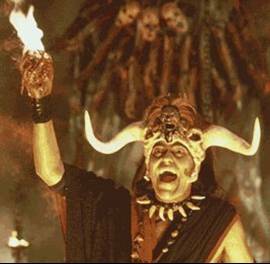 He's not a bad choice, but I'd rather have Keefe or Nelson. At least he's not AV or Crawford or Trotz or some other retread. Huh. He's only coached college teams and for only a few years. What makes Montgomery so special? SaintAngerBH wrote: Huh. He's only coached college teams and for only a few years. What makes Montgomery so special? 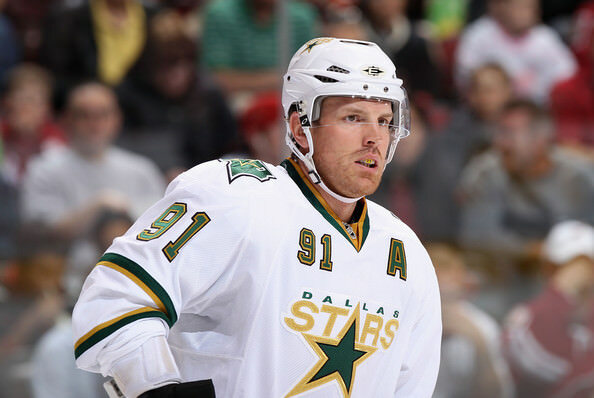 He played 9 games for the Stars 16 years ago. One from today Denver’s style of play is known for being lightning fast. Montgomery’s teams are aggressive and hard on the puck, Denver often used a 2-1-2 forecheck that was built on creating turnovers and capitalizing on mistakes by the opponent. So... are they "patient," or are they "lightning fast?" What makes a player dominate like that at every single level and then suddenly not be able to play at all in the NHL? That has always confused me. Build a culture and get full buy-in? With Captain Maintenance Shift? After what I have read about AV, I'm really glad we didn't hire him. We would be guaranteed another 3-4 years of garbage. Mike Heika wrote: Jim Montgomery will be announced as the Stars' next head coach on Friday, according to a source. Montgomery, 48, has served the past five seasons as head coach at Denver University, winning the NCAA championship in 2017. He will be just the fifth coach in history to jump straight from the college ranks to head coach in the NHL, so the Stars are going a different route with this hire. The Denver Post reports that Montgomery informed his college team at noon Monday that he has agreed in principle to a deal with the Stars, according to a source. Stars general manager Jim Nill said when the coaching search to replace Ken Hitchcock, who announced his retirement April 13, began that he would interview veteran coaches, but also wanted to consider coaches with less experience. "The coaching fraternity has almost become like the players now," Nill said at the time. "I'm amazed at the kids who come in at 18 or 19 and they don't miss a beat, and I think we're seeing that with coaches, too. The game is changing and you have to evolve, and I think it's important for us to make sure you look over every option." Montgomery brings in both the experience of being a pro hockey player for 13 years, as well as coaching younger players for the past 13. The University of Maine product was a professional hockey player for 13 seasons, including a brief stint with the Stars. He then spent five years as a collegiate assistant coach and then coached the USHL's Dubuque Fighting Saints for three seasons. He started coaching Denver University in 2013 and in five seasons has gone 125-57-26, including the NCAA National Championship in 2017. Montgomery has said in his writings that he borrows ideas from great coaches in every sport and that he believes in a detailed-oriented approach that stresses repetition. "It's about keeping things simple and boring, really. Simple and boring work well in sports. Through my playing career, I noticed that if I thought about simple things, small details about my game, I usually had really good games; when I worried about the big things like results, I played nervous and didn't play well." "Coming up with the process was a way for me to relate to my team about what will give us success. When we're playing bigger games, we always come back to the process and it allows us to play consistently in the big moments when the pressure is on. We always say, "we're about the process" because it keeps things simple." "I called it the process because if our process is good, the results will take care of themselves. It helps with the mental component, too--when moments get big, we talk about staying in the moment and focusing on our process. We should be focusing on our next shift, or the next face off. The simplicity of the process allows our players to mentally lock in." So, what is the process? It's made up of seven things. I dunno. He sounds like a younger version of Hitch from that article. I guess we should start talking about who Gags should hire for the vacant GM spot next year? I trust him. No #32 has ever let us down. I wanted Nill gone this summer. ScubaSteve wrote: I trust him. No #32 has ever let us down. Yes. Claude Lemieux was a beast for us in 2003.